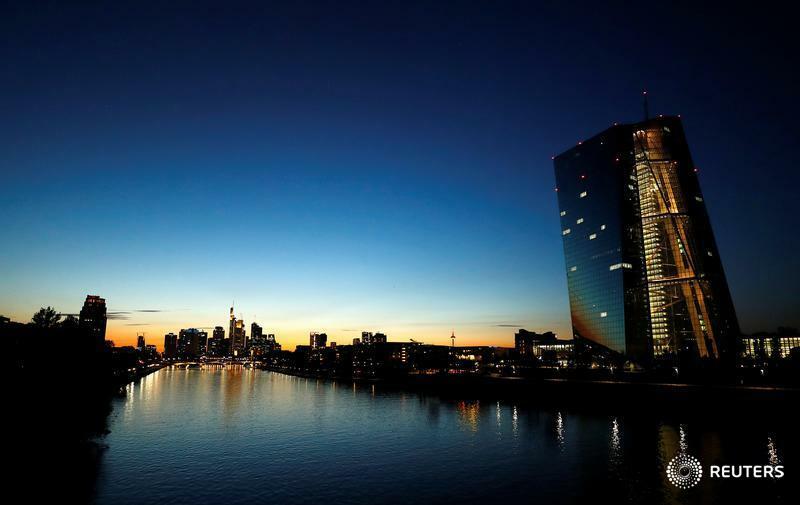 FRANKFURT (Reuters) — The adaption of digital technologies reduces labour costs and weighs on the prices of services, the European Central Bank said on Wednesday in a study based on a survey of large firms in the euro zone. Digitalization also replaces low and medium-skilled jobs but not high-skilled positions, making retention of top workers an essential issue, the ECB said in an article based on the survey of 74 companies. The survey excluded tech firm and banks. The study comes as policy makers debate whether rapid technological changes may be behind unexpectedly weak wage growth and inflation, a major headache for the ECB as years of stimulus has yet to lift consumer price growth back to target. While the survey backed this theory in the case of companies in the services sector, it added that for goods producers, digitalization actually increases their flexibility and the scope for raising prices. "Service providers, especially retailers, were more inclined to see the adoption of digital technologies by others as putting downward pressure on their sales prices," the ECB said. "On balance, respondents see digitalization having a small negative impact on employment," the ECB added. Although euro zone employment has been at a record high for some time, wage growth has just started to move up and inflation still lags behind, raising concerns that the traditional relationship between employment and inflation may have broken down. If proven true, this would challenge how central banks operate, as traditional monetary policy tools may not be as effective as in the past. Still, most policy makers have yet to find the evidence convincing and instead argue that hidden slack in the economy may be bigger than thought and this is the chief reason for the delayed response of inflation. "Producers of goods tended to see their own adoption of digital technologies as enabling them to increase prices," the ECB added.